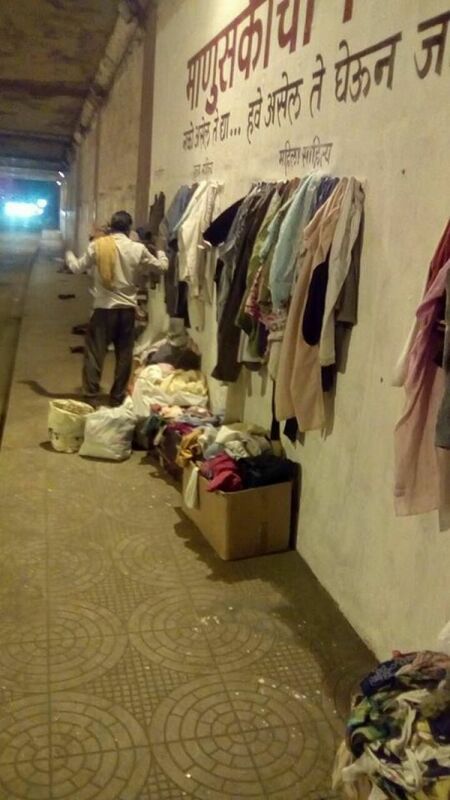 Started in February 2016, the wall is located near Shani Mandir, Lohapul, and is open 24×7 for people to donate their items and for the needy to use them. 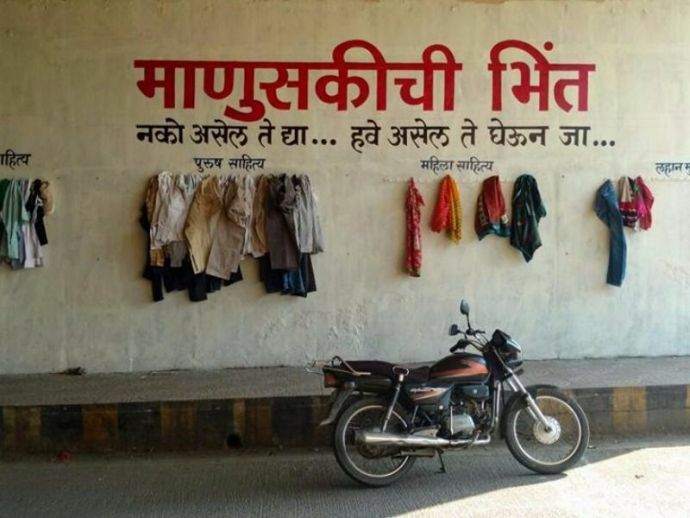 ‘Manuskichi Bhint’ which literary translates to ‘Wall Of Humanity’ is an initiative started by the Raylo Foundation. With the motto “Win War Against Poverty”, this initiative is inspired by the ‘Deewar-e-Meherbani’ campaign in Iran. 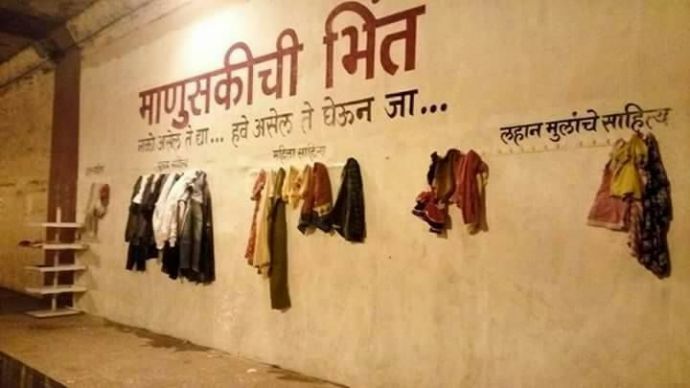 Started in February 2016, the wall is located near Shani Mandir, Lohapul and is open 24×7 for people to donate their items and for the needy to use them. 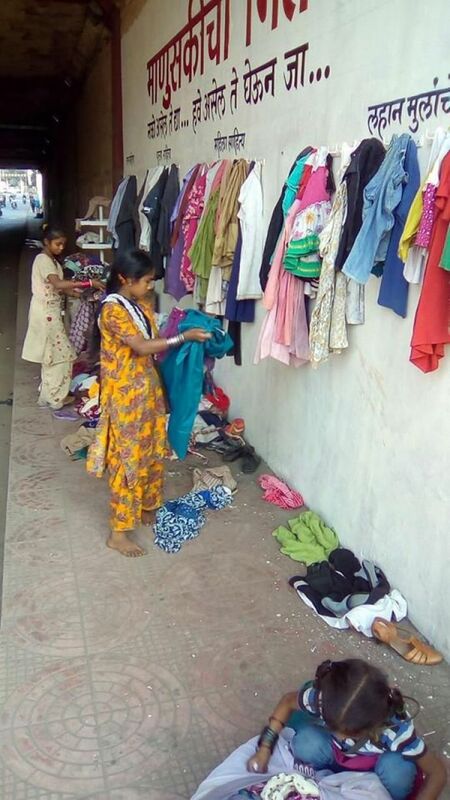 Donors can give away their clothes, shoes, books, toys, household items or anything which can be useful for the underprivileged. A simple direction on the wall reads - 'Leave what you don't need, and take what you need'. Many such initiatives are being replicated in other cities as well as countries. After Iran, this concept was also opted by Pakistan's Lahore and Faisalabad cities, renamed as 'Deewar-e-Insaniyat'. In India this concept was first introduced in the form of 'Neki ki Deewar' in Bhilwara, Rajasthan. The concept was later adopted in a few other cities including Varanasi and Jaipur. Reacho salutes Raylo Foundation for their initiative and urges Nagpurkars to help make it a success!